Learning. Unity. Reflection. Change. African Heritage Month is a time to share in cultural expression, celebration, and discussion; and to create new stories to carry forward together. February is African Heritage Month in Nova Scotia. 2019 marks the 35th anniversary of African Heritage Month in Halifax. This year's theme, as selected by the Community Advisory Group, is Our History is Your History. Community members have come together to plan and create contemplative and celebratory events at all branches of Halifax Public Libraries, ranging from community conversations to concerts and cooking. The Library is also home to historical resources, and a wide array of books by authors of African Descent. We invite you to explore this site and share in events and resources now, and year-round. 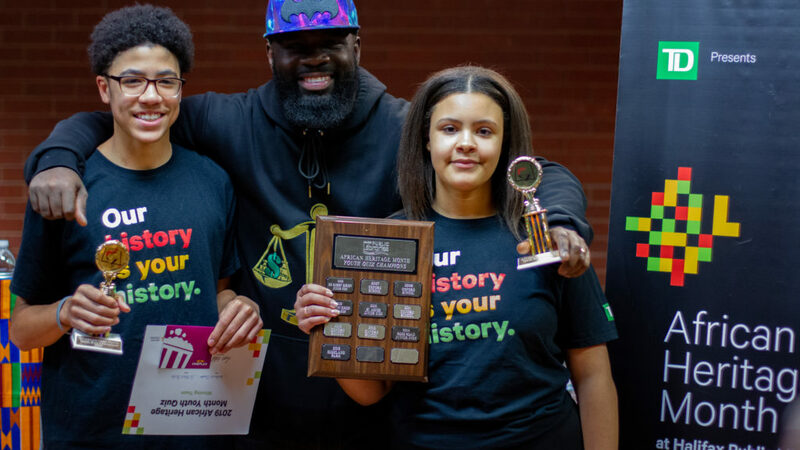 African Heritage Month 2019 at Halifax Public Libraries is made possible by the generous support of TD Bank Group. Thank you to our Community Advisory Group for guiding and enriching African Heritage Month programs and content. Thank you to the individuals and organizations who have brought African Heritage Month to life through events at the Library.